Applicable For : Student of class 9th,10th, 11th or 12th (science stream only), 1st Year & 2nd Year of Dip. Engg. Registrations are open now for NEST-JUNIOR SCHOLARSHIPS for class 9, 10, 11, 12 (Sci) & Dip Engg (1st & 2ndYr). 20. Finally Click Proceed for Payment button. Step 2 : Fill up the application form correctly and paste your latest photograph in the space provided on it. i. There is no need for any attestation, verification or recommendation. ii. Do not attach any other documents. iii. Applicants can also form a group of two or more students and draw a single DD of the cumulative amount. iv. College to charge Rs. 25/- per candidate as processing fee for collection and dispatch of application. 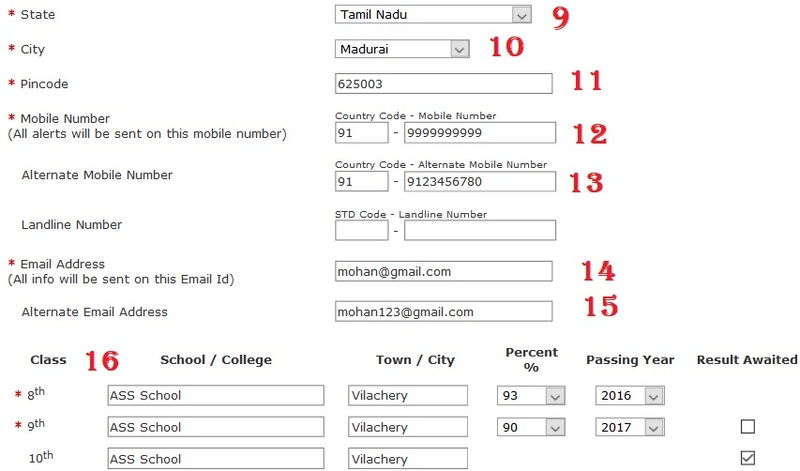 v. Admit Cards will be sent by e-mail just a week before the test, i.e. on 20th July, 2019. ** Rs. 25,000/- each to the top 10 scorers (with Rs. 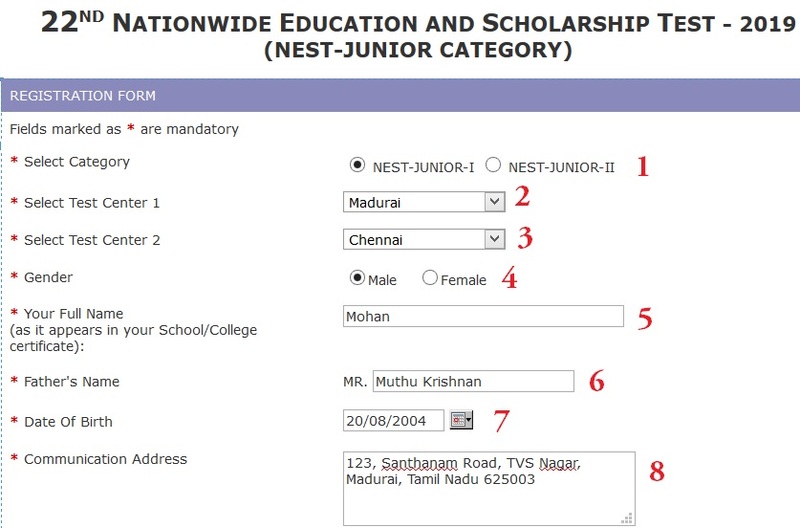 40,000/- to Rank #1) in NEST-JUNIOR-I category. ** Rs. 30,000/- each to the top 10 scorers (with Rs. 50,000/- to Rank #1) in NEST-JUNIOR-II category. ** Certificates of Appreciation are awarded to all high scoring candidates in the test with All India Ranking (AIR). The last date without late fee is 31st March, 2019. Thereafter, there is late fee of Rs. 100/- in April & May, 2019 and Rs. 200/- in June, 2019..
You will also be able to download your Admit Card from the official website. 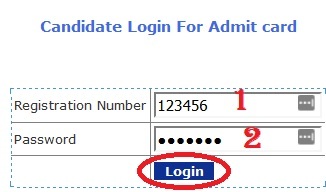 Click the Download Admit Card link in the home page. The test comprises of Multiple Choice Questions (MCQs) with 1 mark per question. Agra, Ahmedabad, Allahabad, Amritsar, Aurangabad, Bangalore, Bhopal, Bhubaneshwar, Chandigarh, Chennai, Coimbatore, Cuttack, Dehradun, Delhi & Ncr, Dhanbad, Durgapur, Ernakulam (Cochin), Gangtok, Goa, Gorakhpur, Guwahati, Gwalior, Hubli, Hyderabad, Indore, Itanagar, Jabalpur, Jaipur, Jammu, Jamshedpur, Jhansi, Kanpur, Kolhapur, Kolkata, Kozhikode, Latur, Lucknow, Ludhiana, Madurai, Mangalore, Meerut, Mumbai & Suburbs, Mysore, Nagpur, Nashik, Nellore, Patna, Pondicherry, Pune, Rajahmundry, Rajkot, Ranchi, Rohtak, Rourkela, Shimla, Srinagar, Trichy, Trivandrum, Vadodara, Varanasi, Vijaywada, Vishakhapatnam. ** NEST-JUNIOR-I is generally based on class 8th & 9th books prescribed by the NCERT of India. It may also include questions based on class 6th, 7th and lower level. Results may sometimes be delayed due to any unforeseen reasons. Winners will be informed individually as soon as the final list is ready. The result will be put up in the RESULT menu of our website on 5th September, 2019 at 5 PM.